1. 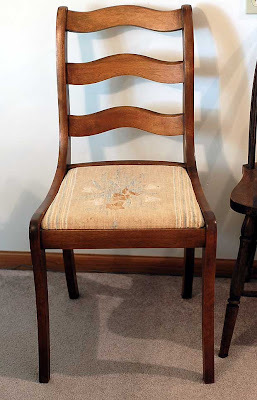 An ugly chair with a removable fabric seat. 2. Pretty fabric or a felted sweater (this is what I used) that is large enough to go around seat cushion. 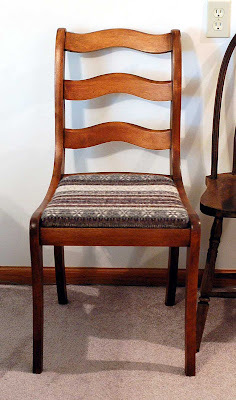 Remove seat area by flipping the chair over and unscrewing it from the chair frame. 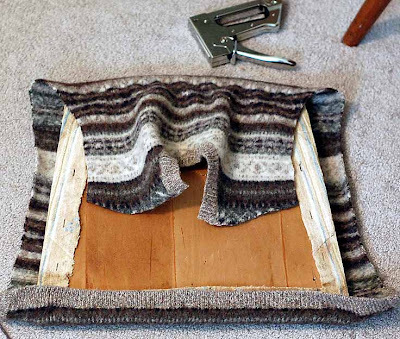 Lay the seat cover upside down on the fabric you are using and center your seat on the fabric or felted sweater. 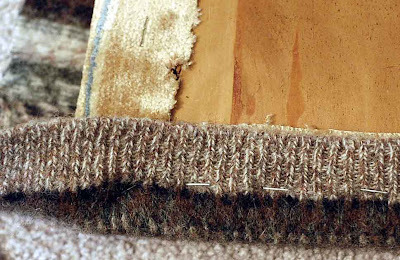 Once the fabric is fully stapled onto the seat, trim your edges and place the seat back on the chair frame. Screw it back in and you are finished!